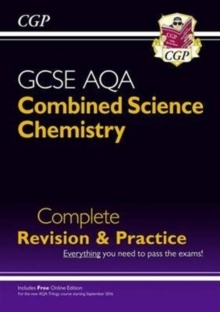 This CGP Complete Revision & Practice book covers every Chemistry topic from Grade 9-1 AQA Trilogy GCSE Combined Science. 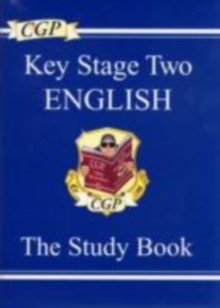 Everything's explained with clear, easy-to-read study notes, examples and diagrams, with brilliant coverage of the new required practicals, maths skills and Working Scientifically. 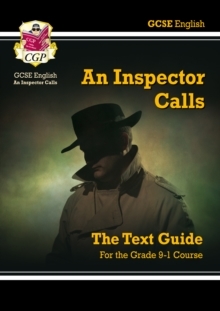 There's also a huge range of practice questions and exam-style questions in every section (with answers included at the back), plus plenty of useful advice for scoring top marks in the final exams - and the book is rounded off with a realistic Chemistry practice paper. 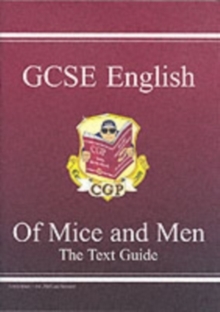 We've even included a code that gives you access to a free Online Edition of the whole book! 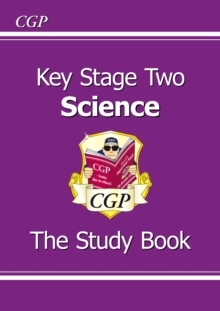 For complete coverage of the course, separate CGP Complete Revision & Practice books are available for AQA Trilogy Combined Science Biology (9781782945864) and Physics (9781782945888).